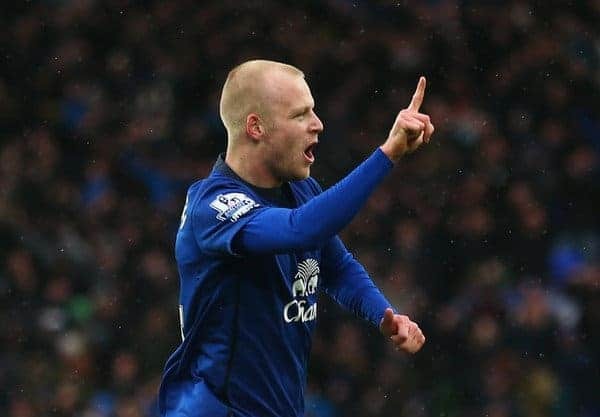 Steven Naismith has admitted that Everton’s Europa League campaign has had a negative effect on their League form this season but insists they must learn to cope with the demands of domestic and European football, if they are to move on to the next level under Roberto Martinez. The 2-2 draw with Leicester City on Sunday at Goodison Park leaves us sitting 12th in the table, with just one win in ten. After the convincing 4-1 victory over Young Boys on Thursday, fans had high homes going into the weekend’s game against the team at the bottom of the table, but the team struggled to replicate the European form. Of the seven games which have immediately followed Europa League ties this season, they have won just two. The Scot admits that is an issue, but says it is one they simply have to deal with. “When you’ve worked so hard to get into Europe, that’s the next level, and you’ve got to be capable of doing it, he said. “It’s just an extra game, and it’s there for anybody to see. “In the first half, the way we played wasn’t good enough,” Naismith said. “We were very slow in our passing, and there wasn’t a change of tempo when we went forward. We didn’t really cause too many problems for Leicester. “But in the second half, the game did open up. And with us getting the first goal, we are disappointed we let Leicester back in it.